The Diplomate of the ICA Council on Chiropractic Pediatrics (DICCP) is a Board Certified credential in pediatrics for doctors of chiropractic. Doctors with the DICCP credential are doctors who have completed this post-graduate specialist level training through a chiropractic college and demonstrated competency in both written and oral examinations administered by the ICA Council on Chiropractic Pediatrics. The subject areas covered include all aspects of pediatrics — from pregnancy, birth, infancy to adolescence. 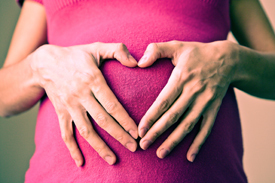 Each stage of pregnancy and of a child’s development are covered in-depth so the practicing doctor of chiropractic acquires greater skills and competencies in a wide range of evaluative, diagnostic and assessment procedures, as well as corrective and adjustment skills for different age groups and clinical conditions. As parents and would-be mothers have become more aware of the drugless benefits of chiropractic care for their children and women realize how chiropractic can help them before, during, and after pregnancy, this special training has been invaluable to Dr. Heather.